Unforgettable golfing experiences with 2 exceptional golf courses. Sperone’s golf course is set on the cliffs of Bonifacio : a green oasis, a mythical course designed by Robert Trent-Jones Senior, facing the Lavezzi islands and Sardinia. And in the heart of Murtoli’s property, experience brand new MURTOLI GOLF LINKS, Kyle Phlipps’ latest creation, meandering between the sea and the mountains, between the Mediterranean “maquis” and daisies fields. A mere 20 minute-drive from Ospédale foothills, Bavella’s mountains offer a wide scope of exceptional hikes within the Corsican "maquis". There are hikes for every taste and levels, you may just want to enjoy a nice walk along beautiful forest roads. Detailed maps are at your disposal at the concierge desk. They can even arrange a private guide for a full-day excursion. Heading Conca, along Solenzara or within the Bavella’s mountain range, you will come across unlikely natural pools, carved into the rocks, for unforgettable natural baths in fresh and pristine waters. Join our "Subtortue" diving club, located 3 km from the hotel, and explore the unspoilt beauty of the “Réserve des Iles Cerbicales” (one of the best Mediterranean diving spot). 25 diving sites are available for both beginners and confirmed divers. Safe family snorkelling is also available for pleasure outings. The sea is an inexhaustible source of leisure activities : you can hire a boat, at your disposal at the deck (with or without skipper), sail southwards to the very tip of the island, up to the Lavezzi islands, Bonifacio and Sardinia. If you have your own boat, moorings are available off the beach. Advance bookings are recommended. Every day, the hotel’s boat, baptized Anna, departs from the hotel’s pontoon for wonderful sea excursions. Sailing the turquoise waters and enjoy magical swims or gently sailing along the Gulf of Porto-Vecchio. 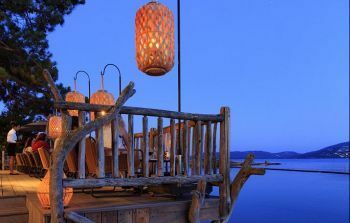 Corsica offers an unlimited and rich natural heritage. From mountain to sea, rivers to lakes, vineyards to farms, not to mention its idyllic beaches and unspoilt creeks. Corscia is a land of exception, where memories of the past are cast in stone. Every village has its Genoese Tower, its prehistoric ruins or its armed bastions. These rich monuments and domains are solemn reminders of Corsica’s rich history. 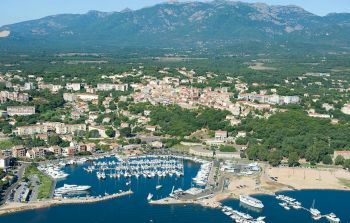 Our concierge service is at your disposal to organize your visit to Porto Vecchio, Bonifacio or Sartène, and can arrange the services of a professional guide.